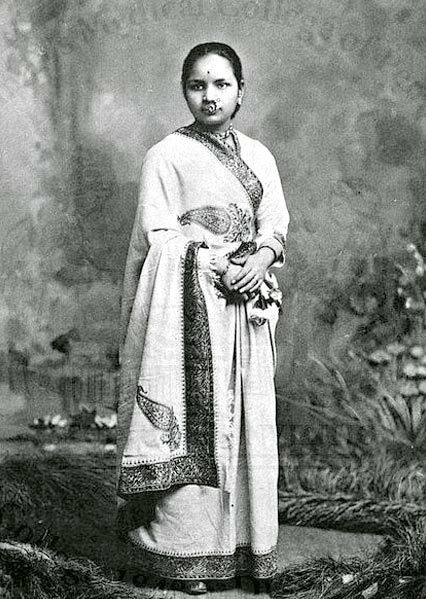 Anandi Gopal Joshi was the first female physician of India, and the nation is remembering her on her 153rd birthday. In the era of conventional society where women oppression was a common thing, she went abroad to complete her degree in medicine. But unfortunately, after a very short duration of getting her degree, she died from Tuberculosis. Here is a glimpse of Anandi Gopal Joshi biography. Anandi Gopal Joshi’s birthplace was Kurla In Maharashtra where on 31st March 1825 she was born in a well-to-do family. Her childhood name was “Yamuna.” At the time, her family was in financial losses; her parents decided to marry her off. She got married to a postal clerk Gopal Rao Joshi who was a widower. Moreover, Anandi and her husband have an age difference of twenty years. Despite her unwillingness, she married to Gopal Rao Joshi. After marriage, Gopal Rao Joshi changed her name to Anandi. Further, she became a mother at fourteen years of age and gave birth to a boy. But the child could not survive due inadequatemedical care and died in just ten days. This incident broke her and pushed her to start her career in medicine. Gopal Rao Joshi was a progressive thinker who supported Anandi Gopal Joshi in getting her medicine degree against all the odds. Since the society was orthodox during that time the journey of Anandi Gopal Joshi was not a piece of cake. Also, her husband Gopal Rao Joshi motivated and supported her in achieving the goal. Initially, Gopal Rao Joshi helped her in learning and writing Hindi, English, and Sanskrit. He got transferred to Calcutta where he took Anandi with himself for better education. Anandi received her education in Calcutta for a few years before moving to the United States. Gopal Rao Joshi decided to send her to the United States for her medical degree. She studied at the Woman’s Medical College of Pennsylvania. During her studying, she submitted her thesis on Obstetrics practices among the Aryan Hindus. Meanwhile, in 18885, she along with Kei Okami from Japan and TabatIslambooly from Syria became the first female medicine graduate from their country. At her receiving the degree, Queen Victoria gives a congratulatory message to her applauding her efforts. Anandi Gopal Joshi returned India in 1886 but could not serve the people longer. At an early age of 22, she died on February 26, 1887. Moreover, the reason for Anandi Gopal Joshi death was Tuberculosis. After Anandi Gopal Joshi death, Caroline Wells Healey Dall was the first one to write her biography in 1888. Next articleApril Fool Day 2018 : Do you Know Why April Fool’s Day is Celebrated as Fools Day? Who is Mira Rajput, to-be wife of Shahid Kapoor?